Posted in: Lodge Announcements on January 16, 2019. Alright folks, we’re now in the third week of the partial government shutdown. And it’s clearly affecting the national parks. So, if you’re planning on any kind of trip to Southern Utah, you may want to rethink part of your itinerary. Today, we at the Lodge at Red River Ranch will try to give you some idea of what to expect if you do go into the parks, and what you might consider doing instead. Most of the national parks in Utah have had to cease operations. Which means, that while you can get into the park, certain areas may be inaccessible at times. For instance, if the parking lot is full, Zion National Park is currently closing Zion Canyon to new traffic. Unfortunately, there is little chance to learn about the status of the park ahead of time, because phone lines and social media feeds are unmonitored during this time. But the biggest problem is that with a severely limited staff, many parks have had to stop servicing the amenities. This means that the visitor centers will be closed, the campgrounds and restrooms won’t be maintained, and no one will be around to help you out. Some parks have asked that if you are visiting, that you pick up as much trash as you can, and deposit it outside the park for collection. Things clearly aren’t running smoothly, so what can you do if you where already planning a trip to Southern Utah? We have a couple thoughts. While you might be okay with “roughing it” for a couple of days in Zion or Capitol Reef, if you want a fully functioning park you should probably head to Bryce Canyon. Bryce Canyon National Park was given a generous donation to help it stay running and fully operational. So it’s never been shut down. And just a couple of days ago, Canyonlands National Park and Arches National Park got enough private funding to temporarily reopen their visitor centers, and to plow some roads. Which is great. If you want to visit either park, you should do so now, before the funding runs out. Or else… think about visiting a state park. State parks are still up and running, since most of their funding comes from the Utah Government. If you don’t want to head to a national park during the shutdown consider these alternatives. Zion National Park – try instead nearby Snow Canyon State Park. Capitol Reef National Park – drive through the park, and turn north to Goblin Valley State Park. 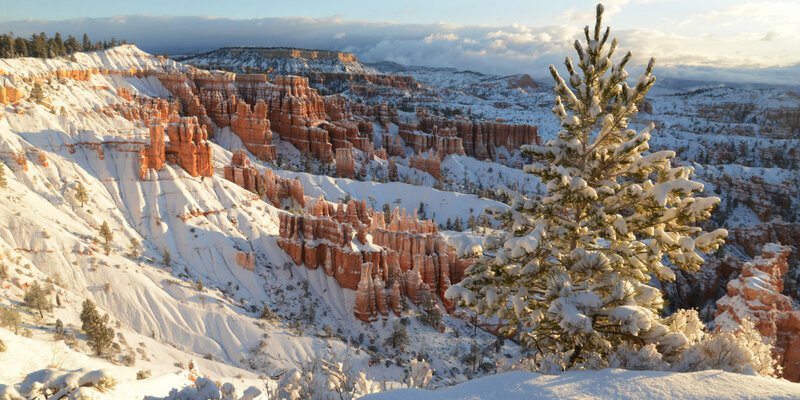 Bryce Canyon National Park – as we mentioned, Bryce is still going strong. So, you should probably just go there. 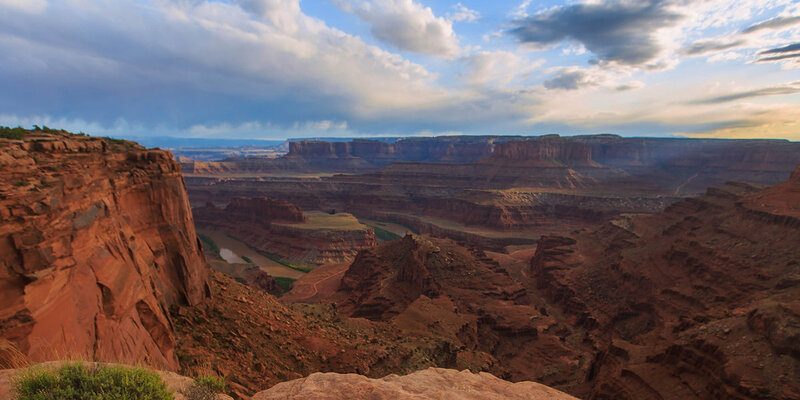 Arches National Park and Canyonlands National Park – if you can’t make it while these parks are temporarily open, try exploring Dead Horse Point State Park instead.